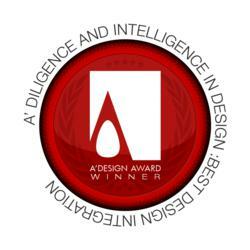 Today, A’ Design Award & Competitions announced an open call for entries for the “Diligence and Intelligence in Design Award”, unlike other design awards and competitions the Diligence and Intelligence in Design Award, considers not product or project submissions, but the integration of design and design culture within an institution for evaluation. The award is open only to entries from non-design institutions, including non-profit organizations, societies and businesses such as manufacturers of common goods, service providers in non-design sectors and other non-design businesses worldwide. Design related businesses such as design studios, architecture offices, and personal submissions are not eligible. Applications to the award can be made online from adesignaward.com. All, prospective entrants who would like to highlight the design value within their companies or institutions are especially invited to take part in the award the award by making a submission. Prospective participants are expected to submit their up to 40 pages PDF presentation that explains the integration of design culture within their institutions. Entrants are also expect to submit a poster of the integration of design to their corporate culture, together with four communicative images, to be used in pr-campaign and marketing. The design integration strategies of prospective participants will be judged by the awarding criteria that checks seven key points such as design integration coherence, methodology, consistency, original contribution, usage of existing knowledge, clarity and design of the presentation. The award was designed to attract the attention of design-oriented consumers to institutions with high-design quality and content by means of creating publicity and dissemination through multiple channels. Winning entries will receive free communication and publication services from A’ Design Award in addition to the award trophy, certificate, badges, logo and other services that are provided to award winners. Unlike any other juried international design awards, winners are not obliged to make any further payments for winning the award and each of the services listed in the winners benefits page at adesignaward.com will be provided free of charge, with a single-time nomination fee of 375 Euros. A’ Design Award is organized in many diverse categories therefore the prospective winners of the A’ Design Award can expect to reach an audience that is wider than their own niche: the award not only reaches the particular media in specific industries, but more importantly, it reaches a wider, design oriented public and design oriented consumers and interest groups as well.